Enjoy skip-the-line access to St. Peter's Basilica with a priority entry ticket. Explore the holy sanctuary at your own pace with the Vatican's official audio guide that you can download on your smartphone. 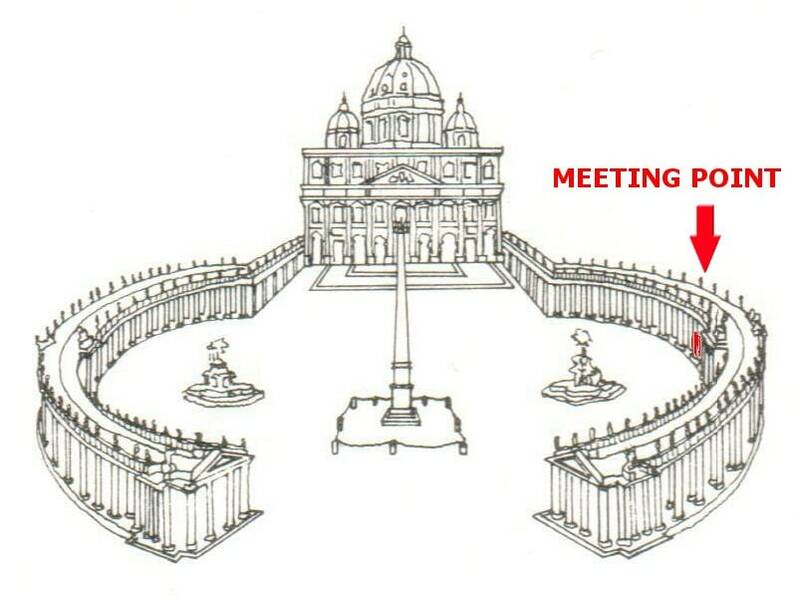 Avoid the long lines at St. Peter's Basilica with your priority reserved entry access. Download the official audio guided tour of the basilica to your smartphone or tablet and embark on a self-guided tour of the sacred grounds. See the best of St. Peter's Basilica as this audio guided tour leads you around its greatest highlights. See Michaelangelo's masterpiece, "La Pieta" before marveling at the impressive Dome, St. Peter's Baldachin and altar. The tour is only for one (1) hour, however, you can stay in the Basilica and some enjoy free time after the tour. Entrance to the Vatican requires a strict dress code. Shoulders and knees must be covered. Low cut or sleeveless tops or shorts are not allowed for both men and women. Guests that do not adhere to the dress code will not be permitted entry to the Vatican. Children below 7 years old are free of charge and should provide a valid ID for proof of age. You must download the official audio guide of the St. Peter's Basilica to your mobile phone or tablet. Please check the PDF file attached for the download instructions. The audio guide is available in the following languages: Spanish, Chinese, English, French, German, Italian, Japanese, Polish, Portuguese, Russian and Korean. If you do not own a smart phone or a tablet, you can ask the staff from the local tour operator to have a traditional audio guide. You will be asked to present an identification document that will be held until the return of the device. On Wednesdays, access to St. Peter's Basilica & Square may be closed at the time of the morning tour due to the Papal Audience. St Peters Basilica 'Skip the line' and entry - Worth ever penny!! Great. We skipped ticket line and 3 hour security check. Our security line 10 minutes. Staff was courteous and many spoke English. Audio tour very informative and easy to use.